Pascack Valley Real Estate – Westwood NJ Market Report! Westwood, New Jersey (known as the Hub of the Pascack Valley) saw the sale of 10 homes during November of 2012. The average List Price was $354,810. The average Sold Price was $324,950. The median Sold Price was $360,000. On average, homes that sold in Westwood during Nov 2012 sold for 91.58% of the List Price. In addition, there were 5 Westwood homes on the market at the end of Nov 2012. Their average List Price was $342,240. Learn more about the town of Westwood, New Jersey! Browse through some local Westwood & Pascack Valley homes for sale! Pascack Valley Real Estate Market Report – Woodcliff Lake Nov 2012! Pascack Valley Real Estate Market Report – River Vale NJ Nov 2012! Pascack Valley Real Estate Market Report – Westwood NJ Nov 2012! 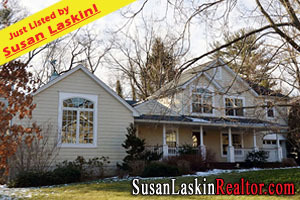 Your January 2013 Bergen County Real Estate Update! The January 2013 Bergen County Real Estate Newsletter is here and, as always, it’s filled with a plethora of wonderful information for buyers & sellers alike! This month’s topics include “Mortgage Rates Low, Tips To Qualify” “2013 Real Estate Resolutions” “Dec 2012 Real Estate Roundup” & more! Read the entire Newsletter here! River Vale NJ Real Estate – Market Report October 2012! River Vale NJ Real Estate Market Report! Pascack Valley Real Estate Market Report! River Vale, New Jersey (known as the Garden Spot of the Pascack Valley region of Bergen County) saw the sale of 6 homes during October 2012. The average List Price was $484,158. The average Sold Price was $463,375. The median Sold Price was $493,500. On average, homes that sold in River Vale, New Jersey during October of this year sold for 95.71% of the List Price. In addition, there were 7 homes Under Contract at the end of October 2012. Their average List Price was $594,664. Looking for more information on the local Real Estate Market? 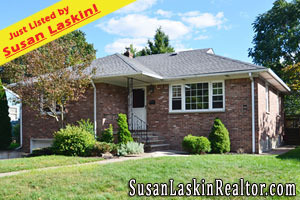 Visit my website, SusanLaskinRealtor.com, where you can Learn about the various Pascack Valley towns, Browse through my Feature Homes, Read my Library of Real Estate Tips & more! Pascack Valley Real Estate! Woodcliff Lake Real Estate! Woodcliff Lake, New Jersey saw the sale of 8 homes during May of 2012. The average List Price was $1,041,350. The average Sold Price was $922,625. The median Sold Price was $905,000. On average, homes that sold in Woodcliff Lake during May of 2012 sold for 88.60% of the List Price. In addition, there were 7 Woodcliff Lake homes Under Contract at the end of May 2012. The average List Price was $651,768. Looking for more information on the local Real Estate Market? Read the River Vale NJ Real Estate - May 2012 Market Report! Browse through my website, BergenCountyRealEstateSource.com, where you can read my Tips For Buyers, Tips for Sellers, Newsletter, Featured Homes & more! Woodcliff Lake Real Estate! Exquisite Center Hall! Located on a wonderful cul de sac on the west side of this sought after town, 7 Olde Woods Lane in Woodcliff Lake ($1,218,950!) 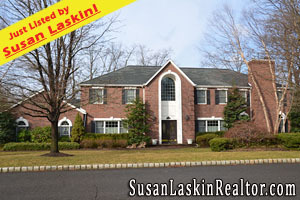 is a 5 Bedroom 4.5 bath exquisite Center Hall Colonial that was custom built in 1996. Wonderful Two Story Entry Foyer w/Palladian Window. Immense Great Room w/ fireplace. Immense Master Suite w/ fireplace, two walk in Closets & a large Master Bath that boasts a skylight, vaulted ceiling, Whirlpool and stall shower. Three more very large additional bedrooms PLUS French doors leading to a library. Main Level Kitchen is remarkable for its size. 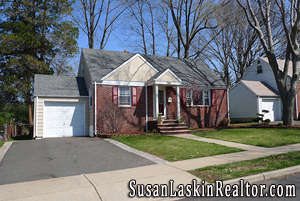 Center Island Kitchen w/ large Breakfast Rm leads to large deck & private rear yard. Formal Living Room & Dining Room. Main Level 5th Bedroom/Guest Room has own private bath. Immense finished lower level w/ full bath, media room, recreation room & exercise roomm. 5 zone bbhw heat..3 zone CAC..Top rated Schools..Easy NYC Commute by Car, Bus and Rail. Looking for more Woodcliff Lake Real Estate? Browse through my Feature Homes! Some spectacular listings across the wonderful Bergen County towns!